For the first time last year I purchased a beauty advent calendar to enjoy on the run up to Christmas, and enjoy it I most certainly did!! So this year I really wanted to get another one and boy did I do my research into the market before choosing (I’ll be sharing the one I went with soon!). Anyway! After helping out a few friends and family choose the right calendars for them, I thought you might like a helping hand too. So! 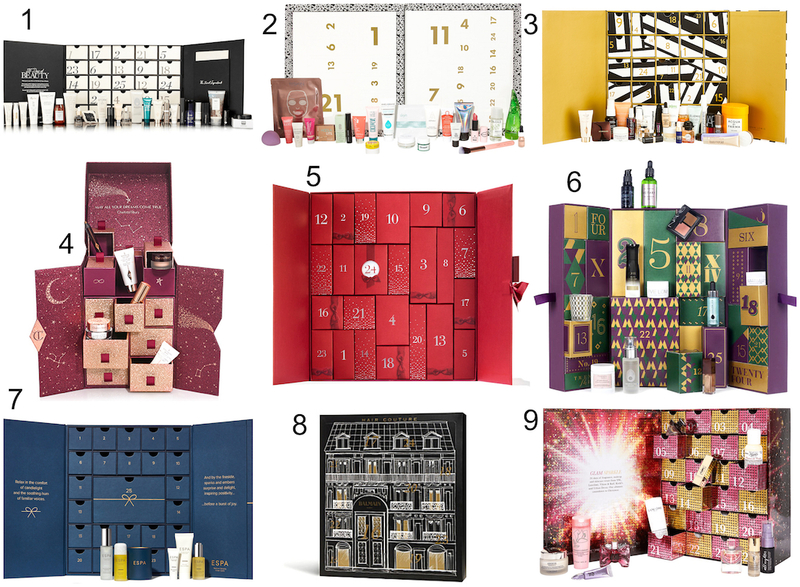 Here are my top 9 beauty advent calendars that are STILL available to buy – Happy Calendar Hunting! The ship has sailed on bagging the likes of Jo Malone, Kiehl’s, Atelier Cologne, Diptyque and YSL so don’t miss out on anymore great calendars – snap one up before they sell out today and get ready to open door 1 come December 1! Have you got yours already? Which did you go for? I want the CT one so so bad! Isn’t it gorgeous?! And with so many full sized products in there it’s so worth it in the long run! These are SO fun!! Who wouldn’t want to open a little beauty treat each day? I love the Charlotte Tilbury one! I would have loved the Jo Malone one, but I couldn’t justify the price! I hear that Danielle! A friend of mine – who is Jo Malone OBSESSED – said this exact thing and it’s so true. Huge price tag! I had no idea beauty advent calendars existed! It looks like such a fun way to sample all these different products. I love playing with products and trying them out–I’ll have to pick one of these to sample soon! Go for it Brooke! If you love trying new products, an advent calendar is definitely something for you to try!